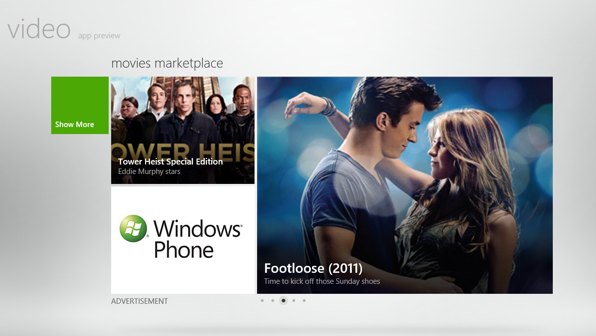 I’m sure you have heard of the Windows 8 Consumer Preview released by Microsoft a week ago. Many were able to successfully install and run it on their machines to check out the new features. 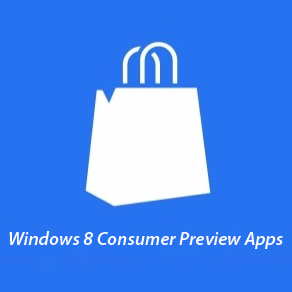 Last week I’ve posted here options on where you can install Windows 8 Consumer Preview. So whats new with this release? I’ve noticed significant improvement on its performance and responsiveness of the UI. Microsoft is now moving from the usual 32-bit desktop user interface to Metro-style applications. As Microsoft relayed, Windows applications are now more focused on the content and less distraction from the system. The tiles can be arranged according to their category. You will notice that I can select the Games group tile automatically and place it anywhere I want in the tile. 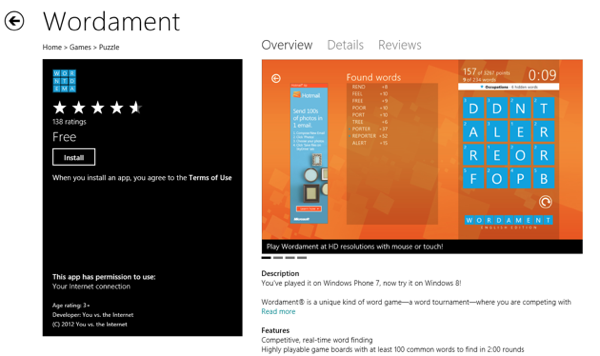 Also notice that the tiles title or image adjust automatically. Cool! Lets go and check other applications. You can add email accounts from Exchange server, Google and of course Hotmail. Nice clean look on creating an email. Formatting options are available at the bottom. 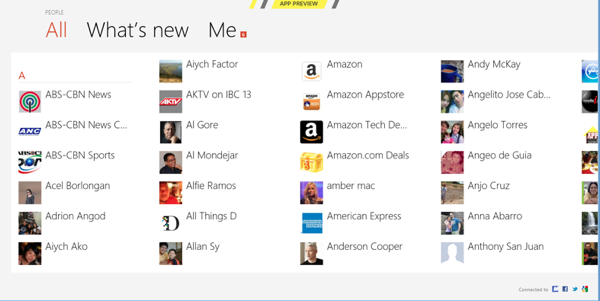 One Windows 8 tip, right click on any Tile or inside a Metro-style app to get the options appear. 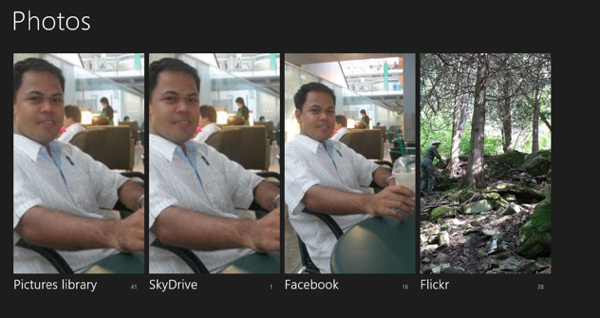 Images from your SkyDrive, Facebook and Flickr aside from the local image can be linked here. I’ve noticed that basic editing options for images are not available right now on this application. The application is mainly for viewing your photos only for now. The Weather application has a very nice graphical way of presenting the weather forecast. If you swipe (on my case scroll down using a mouse) to the right, more details about the weather will appear. You can pin the weather as a live tile with the specific location you choose or you can also snap the application to the screen side by side with another application. This is a common feature on Windows 8 for all Metro-style applications. 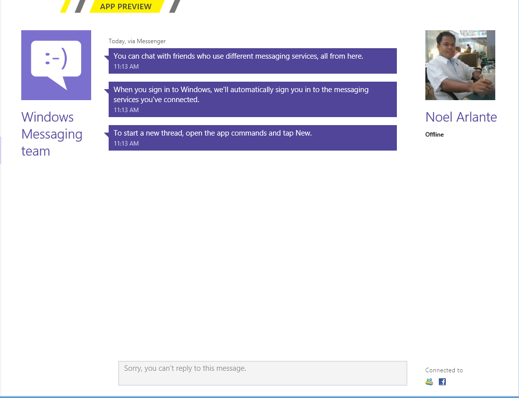 Messaging application is the IM application of Windows 8. You can link your Microsoft Live of Facebook profile for now. I wish you can link to other social websites in the future. You can really say that this application is in the preview version due to the lack of messaging options available. I was able to link my Facebook, Twitter and Google account on People app. The What’s New section is like a News feed in Facebook where you can see updates from all of your contacts in the same view. I’m not sure why you need to go to the messaging app if you can make your messages on this app. But since this is a preview version expect more changes on the final version. 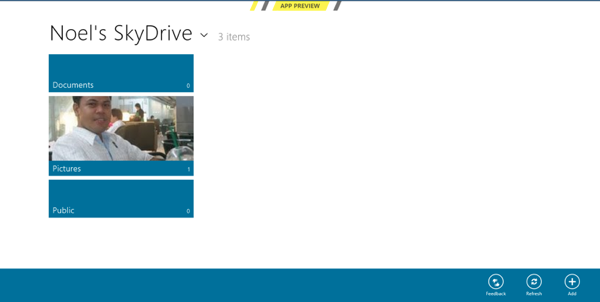 You can manage your files on your Skydrive using this application. Basic options of upload and download are already available now. I was surprised to see applications and games are now available in the Market. The way to get and purchase an app is the same with how you get an app from the App Store or the Android Market. 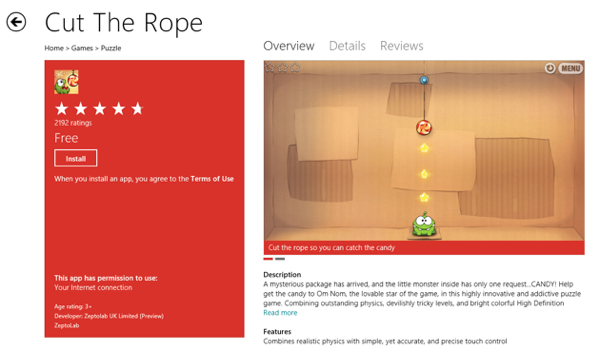 Obviously there will be more applications available once the final version of Windows 8 is released. 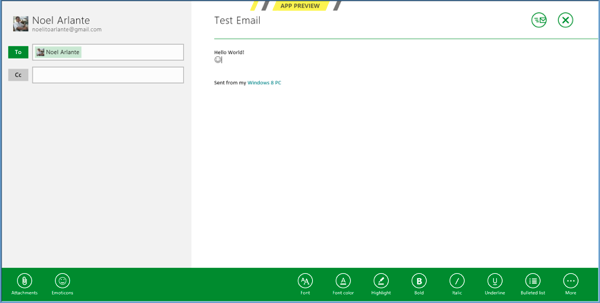 I’m excited how those applications will look like and integrated to the Metro-style of Windows 8. As a developer, I’m excited to learn and build applications for Windows 8. Great times ahead!